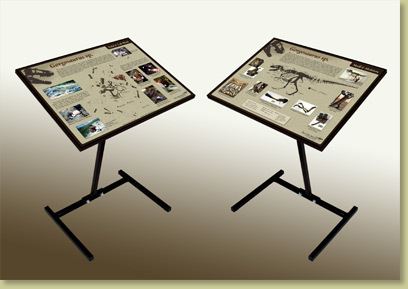 Framed display posters with stands, specifically designed to complement our Gorgosaurus sp. fossil replica skeleton, making a complete exhibit. 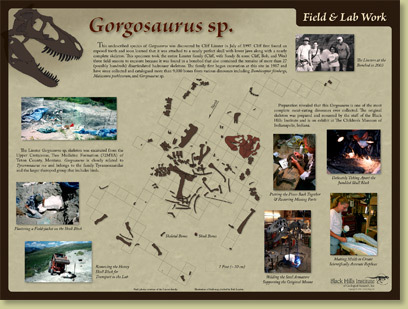 It describes work on and the skeleton of the Gorgosaurus. These posters are printed 'on-demand' in-house at BHI on our high-quality, seven-color, photographic large format printer. They are exhibit quality, not a halftoned, mass-produced poster.